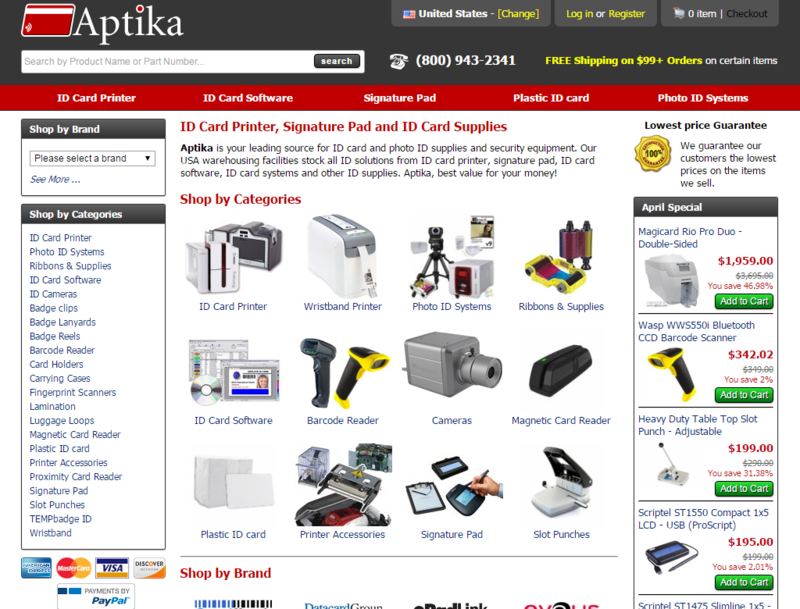 Aptika is a family-owned business founded by Martin Bourdages and Dominique Baptista in 2000, just after the dot-com bubble burst. 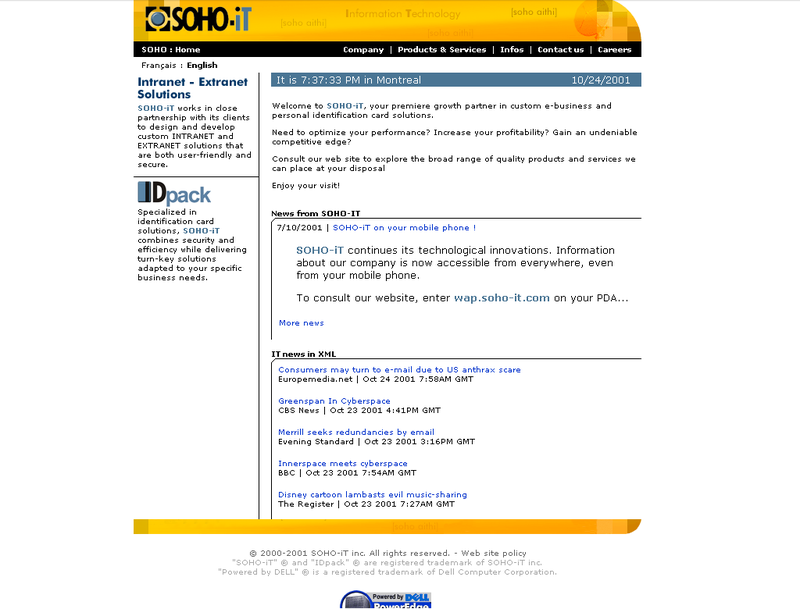 At that time the company was called SOHO-iT for (Small Office Home Office Information Technologies). 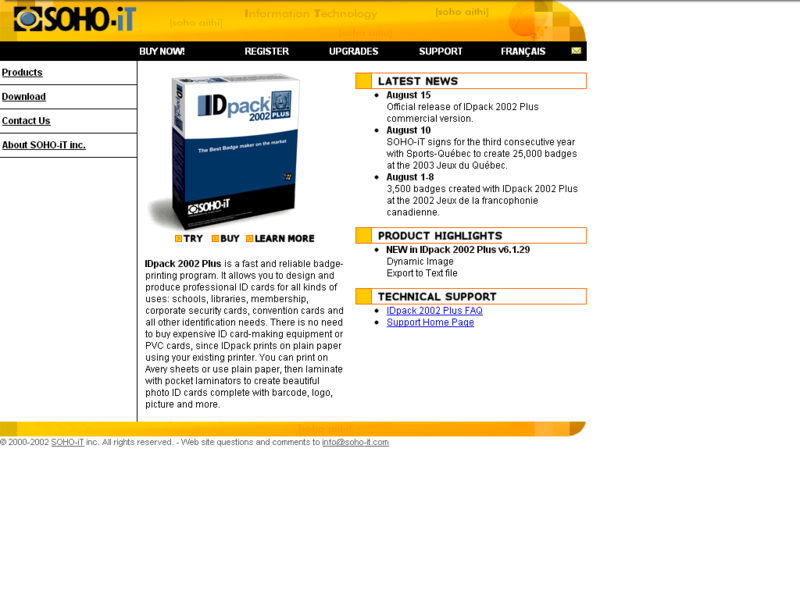 We started out, just like Bill Gates and Steve Jobs, at home in our small apartment in Montreal selling IDpack, our best-selling software programmed and developed by Martin. IDpack allows small to large organizations with high security requirements to print badges and quality plastic identification cards. We've since sold IDpack licenses to thousands of companies and organizations around the world and continue to update IDpack on a regular basis. More than 30,000 computers are currently running our badge printing program worldwide including large cities and municipalities. 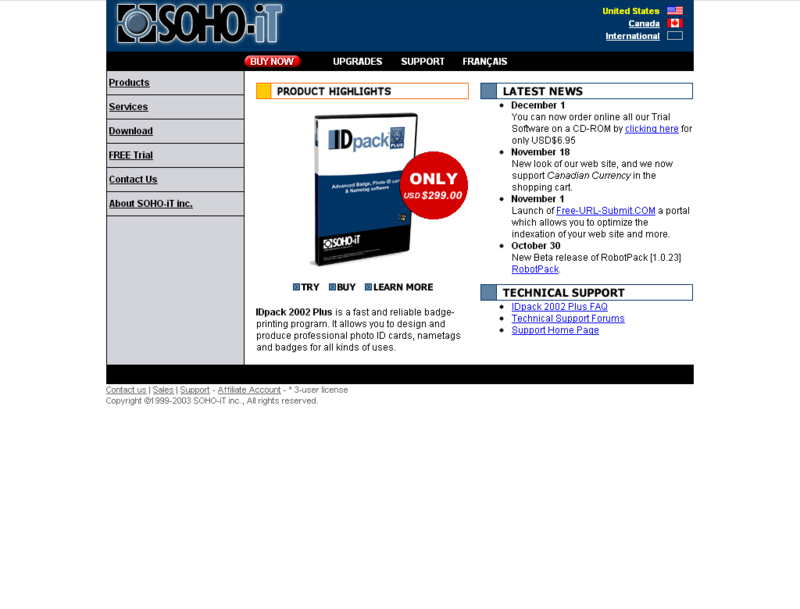 After purchasing our IDpack software, our customers also wanted to know where they could buy specialized equipment to print ID cards. At first we sent them hither and thither, but quickly realized the available solutions for printing quality ID cards were not great. Also, we knew we were missing out on a good opportunity ourselves to provide quality printers and printing solutions to our many customers. 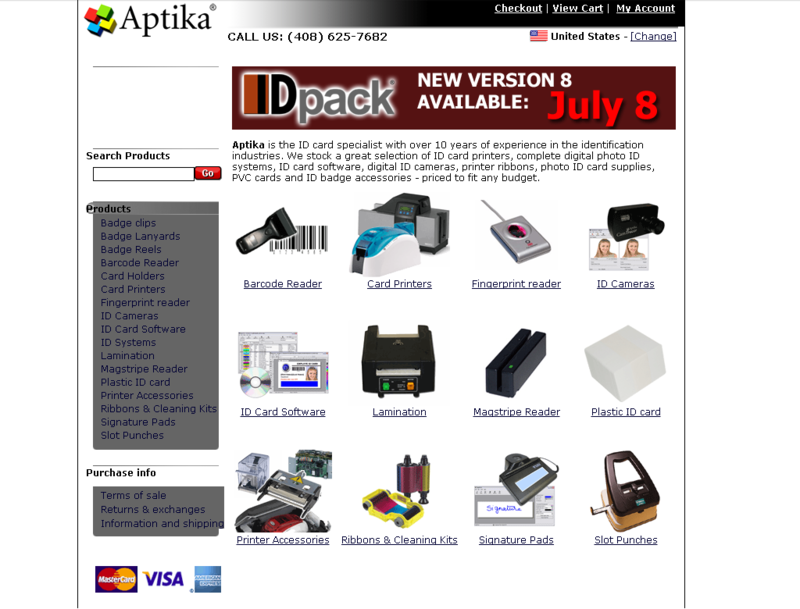 So in 2004, we started selling the various pieces of printing equipment designed to enhance ID card production. 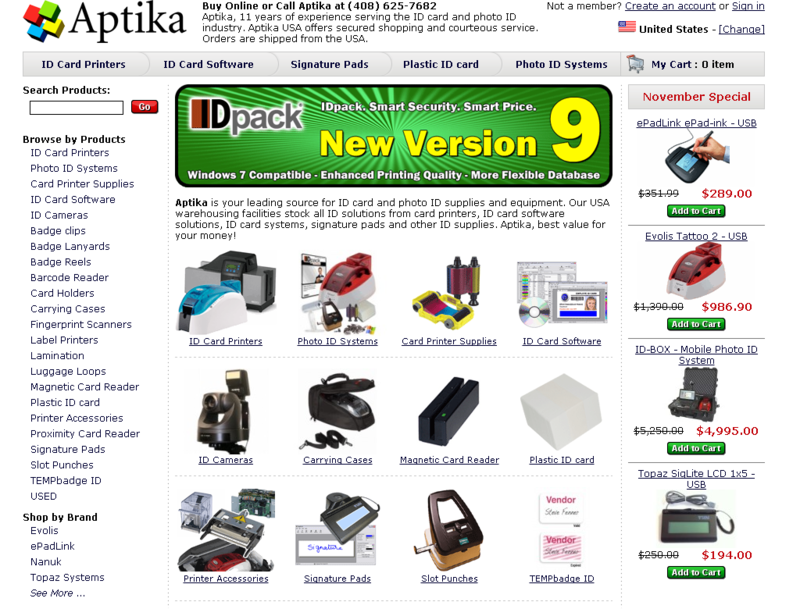 This was a major step for us and we decided to change the company name to Aptika, creating a more recognizable brand, before developing an online store to sell ID card printers and other printing hardware. 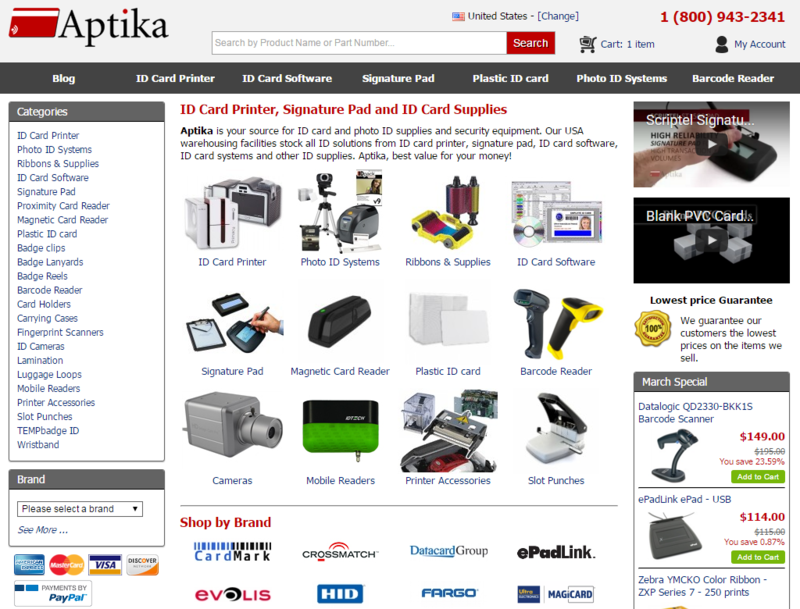 Launching the Aptika website, we started with a few brands and several hundred products. It's difficult to remember sometimes, but a mere ten years ago people were not used to ordering anything much online. 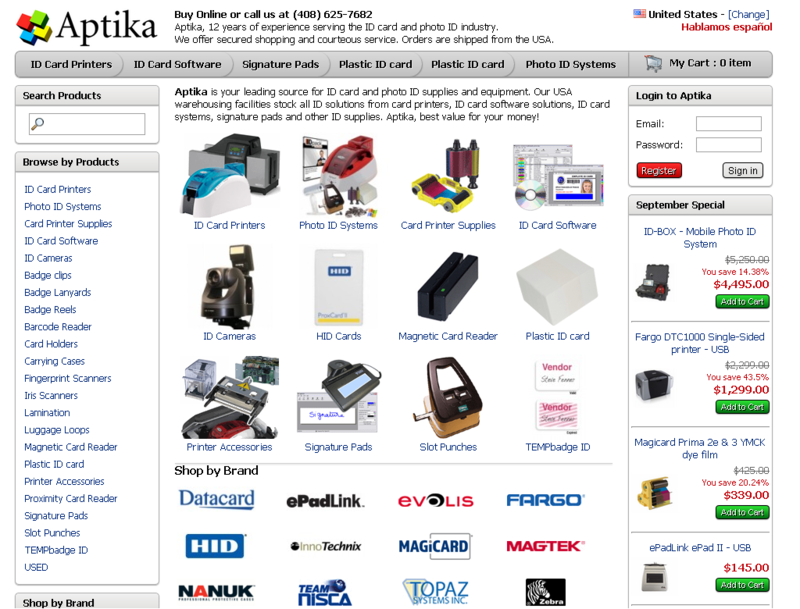 It took a lot of effort and marketing, but people eventually took us seriously and we started to receive ID printing equipment orders from businesses and organizations everywhere, including major corporations such as Virgin America and RadioShack, and organizations like the US army and even NASA! Over the years, we have helped many different businesses create quality ID cards for all sorts of different uses. During our first decade, we developed an accreditation service that provided production facilities for badges and ID cards for large events. We undertook contracts for the Olympic Games Committee, the World Energy Congress, the World Police and Fire Games, the FINA World Aquatics Championships and many others. However, this out-of-house activity eventually became too difficult to manage, especially as our online activities and web store were really starting to take off. We have moved our main office four times over the years to expand our business as demand grew. In 2009, we moved to Sainte-Adele, Quebec, Canada. Sainte-Adele is a charming village in the beautiful Laurentian mountain region just north of Montreal with a very good quality of life for our family and our staff. The move certainly hasn't hurt our business, as FedEx comes to our office two or three times a day! So where are we now? 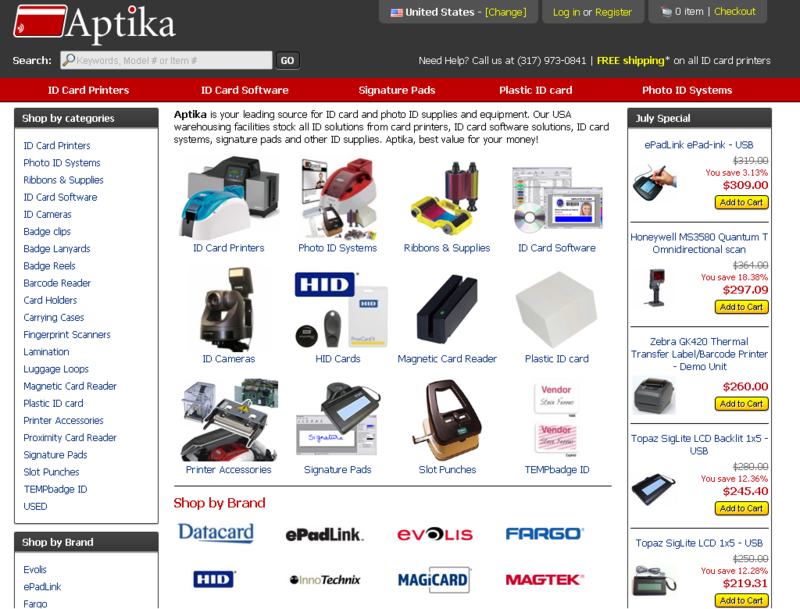 Today, Aptika serves more than 12,000 customers in 87 countries with two warehouses and numerous partners. One warehouse is located at our headquarters in Sainte-Adele, Quebec and the second is in Zionsville, Indiana. We want to thank all our customers who helped us get where we are today. Many of our first-time customers are still with us, a decade and half later! 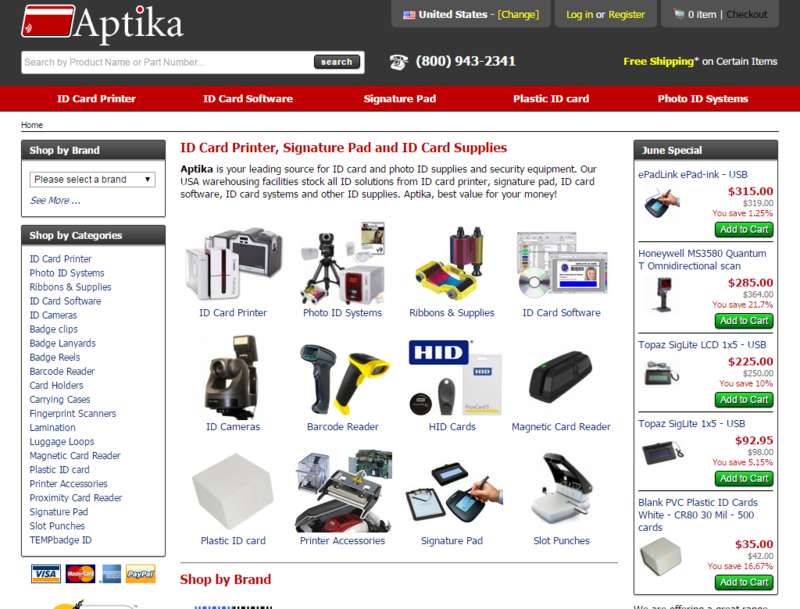 Aptika, the ID card store in the identification industry. 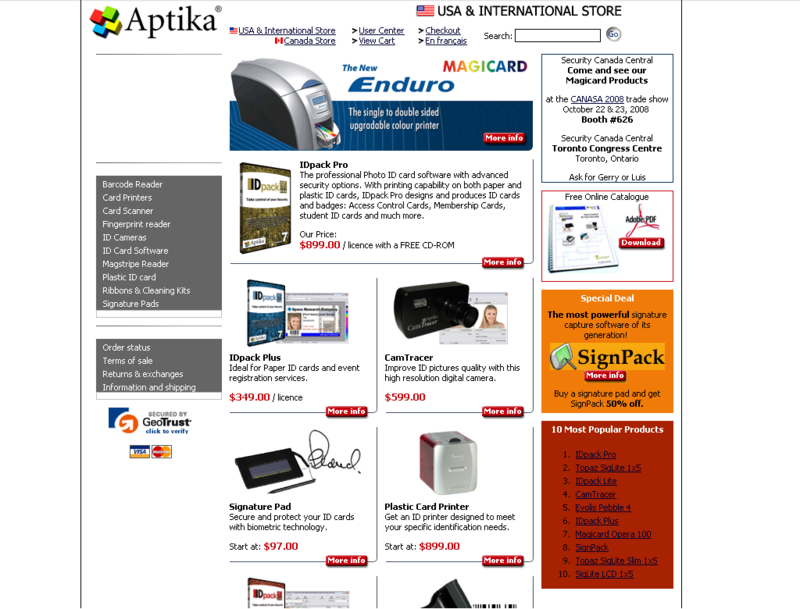 We supply a grand selection of ID card systems, ID card software, ID card printers, digital ID cameras, photo ID card supplies, printer ribbons, plastic ID cards and photo ID accessories. 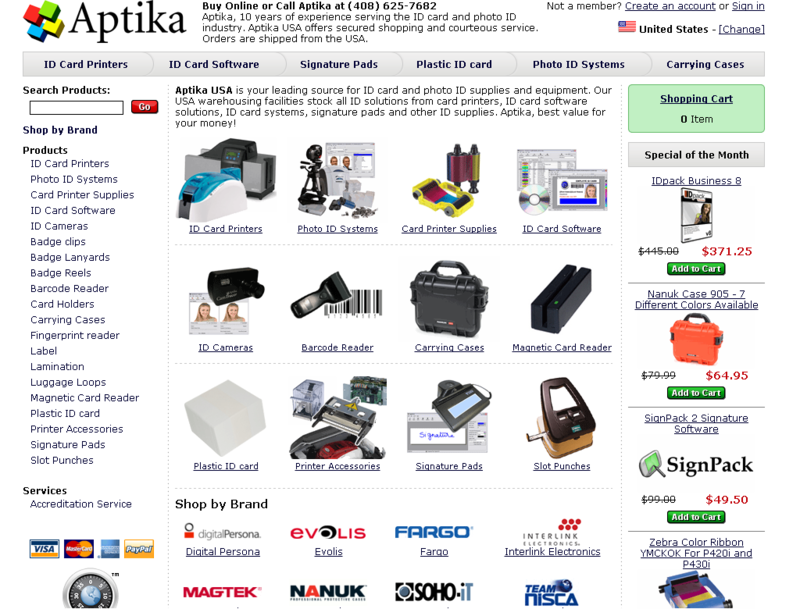 Aptika, priced to fit any budget.